By listening to user feedback, we’ve designed the lathe with careful attention to operator ergonomics, ease of maintenance and reduction of overall floor space. 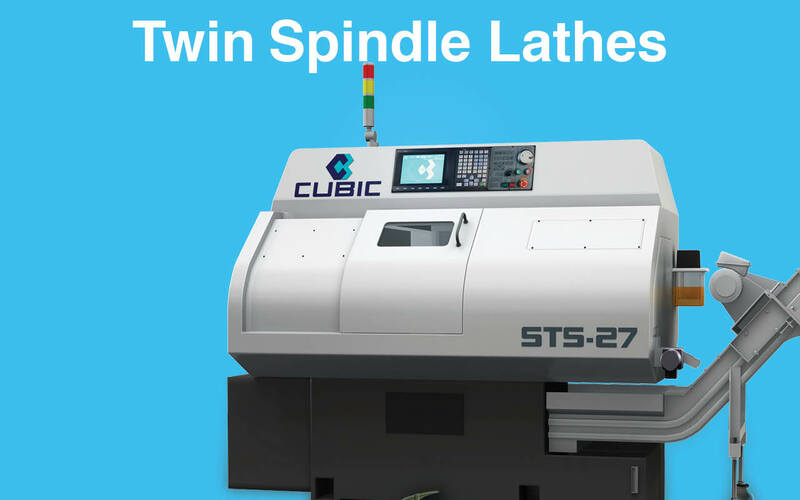 All without sacrificing the lathe’s twin spindle performance. 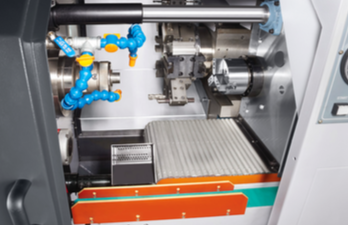 You’d be surprised at how much this machine can do in such a small footprint. 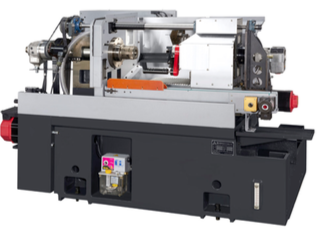 The patented design ensures perfect synchronization between main and sub-spindles, makes the full spindle motor power available to the sub-spindle and reduces weight on the sub-spindle, which contributes to improved machine dynamics. 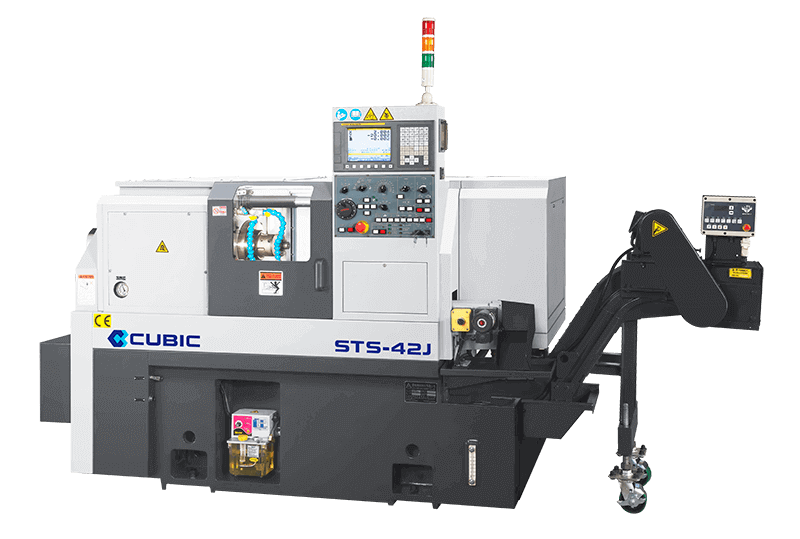 The standard machine comes with INDEX B-series collet nose on the main spindle (3-jaw chuck is optional). The sub-spindle uses 4” chuck or 5C collet nose. Parts catcher and parts conveyor are included as standard equipment. Cubic can integrate and support optional accessories such as mist collector, different types of bar feeders, even provide a turn-key package. ‍With tool change time of only 0.15 second, the high-speed turret reduces idle time. Back machining with the sub-spindle greatly expands the scope of secondary operations the machine carry out in one setup. 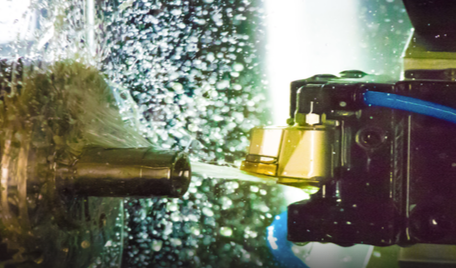 With the appropriate application, the tooling layout provides many opportunities to improve cycle time by overlapping front and back machining. The high precision spindle is supported by symmetrical headstock structure to prevent thermal distortion. 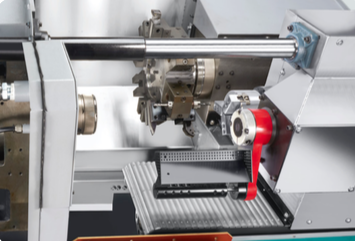 The spindle design incorporates years of machine design know-how into a compact package combining high rigidity and high accuracy, making it ideal for both heavy and precise cutting. The 100 psi multi-stage pressurized coolant system can deliver from the tool block a jet stream of coolant directly to the part.